Hi! I'm Zhirou, and this is where I document new discoveries! (Or, sometimes, just plain thoughts). Socratic, a website where people can ask and answer academic questions, will close to new questions and answers on August 15. I've been a regular answerer in the Chemistry section. You can see my old answers here. Socratic has a special place in my heart because, there, I felt like I was helping the world understand the things I am so passionate about; the things I am so eager to share—it was a win-win situation: I got to talk about Chemistry and help other people along the way. I started contributing sometime in my sophomore year, and it's sneaked its way into my daily routine since. A daily, repeating task in my mental to-do list has always been "Answer a Socratic question." I do it every weekday after I come home from school; on weekends, it's usually the first thing in the morning. And, since I feel like I've been ticking that box off every day since the beginning of time, I think a small part of me will die on August 15. But I guess the death of Socratic will be the beginning of something beautiful. I'm hesitant but excited to be working with a group of other excited people on a continuation of Socratic. I'll let you know how it goes. 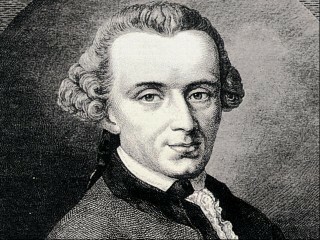 Kant would've turned 294 years old today. That's a big number, so I guess we should use scientific notation: He would've turned 2.94⋅10² today. I first met Immanuel Kant in my freshman-year World Studies class; we were studying the Enlightenment philosophies that led up to the French Revolution. I wanted to read more about these philosophies, but was a bit reluctant to do so because I was a freshman and freshmen, like all adolescents stuck in the early phase of the Identity vs. Role Confusion crisis, never want to do anything. But I was interested enough nonetheless, so I scanned over the articles about these philosophies on the SEP. I really don't know why, but before seeing this, I fell into the same set of misconceptions that a lot of people have about philosophy: middle-age; middle-class; meaningless, jargon-filled platitudes written on sheets of scented paper. Not particularly bad—just a bit pompous. At first cursory glance, I scanned over it. Then, after I actually processed it, I paused my steady scrolling and reread what Kant wrote. A thought was planted in my head, there: "If philosophy was really just this, just a collection of people applauding themselves for their own ingenuity—how could one philosopher be so frank and humble as to lower themselves and credit another philosopher with so much?" "How could he so openly acknowledge previous mistakes?" After all, my narrow-minded freshman brain assumed that all philosophers must have thought of themselves as infallible. Like most people who are proven wrong, I tried to justify my belief by thinking that the contradiction to my belief, which was Immanuel Kant, was only an exception. I guess it worked for a few days, but gradually, as I learned to understand more about philosophy, I accepted the fact that I was wrong. It was these images and more that convinced me: Plato and Xenophon, eagerly learning from Socrates; Diogenes, throwing away his water cup after seeing a child drink with his hands; Kierkegaard, referring to his teacher, Poul Møller, as the "inspiration of my [his] youth". I've since erased every remnant of these unwarranted, incorrect beliefs, and this is all thanks to Kant. His attitude changed my perception of philosophy from a group of the bourgeoisie, living in self-imposed echo chambers, to an open, gently ebbing dialogue. Confession: I still don't fully understand a lot of Kant's ideas. But I think that's what continues to make him, along with other philosophers like him, so intriguing to me—as I evolve on my intellectual journey, I think I'll begin to understand more and more of his brilliant ideas. I’m fifteen and have time to mess with my own head through philosophy, so I’m terribly excited to learn more about him as I grow. So, thank you, Immanuel Kant, for sparking my passion for philosophy. I think you've woken me from a dogmatic slumber. Happy birthday. Their names are James Joyce and William Golding. (Inspired by the books I've been reading recently.) We're learning about power in World Studies, so we're reading Lord of the Flies. That means I'm revisiting an old friend because a) books are friends! and b) I've read it before in seventh grade. I didn't really think much about the symbolism at the time though, so it's really fascinating to just grow aware of everything I've missed the first time. I've also decided to attempt reading Finnegans Wake because it was mockingly sitting on our library shelf with a note from our librarian and teacher: "I dare you to try this book." I couldn't just not even try. But now, I'm starting to regret that decision. It's beautiful but downright confusing. I'm five pages in, and I'm having trouble bringing myself to care about the seemingly nonexistent plot. I'm going to try and read at least fifty pages, though. Wish me luck! As a side note, I'm also going back and re-listening to Lana Del Rey's Born to Die album! My personal favourite is Diet Mountain Dew. This video reminded me of the harshness of schizophrenia, of the difficulties patients face in their everyday lives. It also got me wondering this: How will schizophrenia manifest itself in multilinguals? Initially, I thought schizophrenia would show its form in a twisted amalgamation of every language the patient speaks, in a way should make sense but doesn't. But, as in most cases, initial hypothesises are very wrong and so was this one. On this Reddit discussion, most reported either hearing voices in both languages or hearing voices in their primary, first language. With children that had been taught multiple languages simultaneously, the former seemed to be more common. I don't think anyone has a clear answer, though. But I think this is part of what makes clinical and abnormal psychology particularly interesting subjects—that they're still subjects that are very much developing. A short note on existence and false memories. In the 20th century, doctors believed that babies were unable to feel pain. It wasn't until the late 1980s that they had begun administering anaesthesia while performing surgeries on them. Obvious indications of pain were displayed when the painful surgery would be performed in babies, such as crying, thrashing, violent behaviours, and other such expressions. This was ignored. Individuals are unlikely to remember specific events before the age of 2 and a half years. Any memory before that age is likely to be false. This phenomenon of being unable to remember childhood events is often referred to as childhood amnesia, and the average age that humans are able to create and store memories is four years. Did the pain really exist, then? Yes, babies may have felt pain during the surgery, but if they are unable to recall it—did they really feel pain? Disclaimer: Obviously, performing surgery without anaesthetic on babies is inhumane; I'm not a sadist. Without memories, there would be near nothing to give proof of the existence of an event. Video cameras can give proof to an event, but, with the rising of the digital age, even videos can be manipulated. I've often heard stories about my younger (and, evidently, more foolish and far more naïve) self, and, most of the time, I find myself in an awkward situation in which I am unable to remember any of the events that Mom would be laughing about. To me, they didn't exist—and they never will. If all affected individuals of that event (all "witnesses") were to forget about it, would it still exist? However, it may also be argued that most events trigger other events, causing a chain reaction known as the butterfly effect. As such, there is the possibility that an event could leave a lasting impact on the world without anyone having remembered it, thus consolidating its existence. This is my question: If the event was neither able to nestle its way into someone's memories, nor able to trigger a chain reaction, would it still exist? Banner video credits to Peter Koraca and Timothy Merks on Vimeo. YOU'VE FOUND IT! The footer. Wow, you've scrolled really far. I guess you can breach the fourth wall now.